It’s not all cake in the Vicarage. There’s bread too. Last week I made my first couple of loaves of sourdough. I’ve been making my own bread on and off ever since we lived in Singapore and the only bread to buy was either ridiculously sweet chewy sliced rubber stuff or tastier but eyewateringly expensive. I started with a bread machine that broke from overuse and since then I’ve generally used my Kenwood mixer to make the dough. I very often make dough for pizza at home or for breadsticks for our weekly Cake and Chat community coffee morning. Although, after watching The Great British Bakeoff the other week, I think I may be making the sticks all wrong – they’re doughy rather than snappy. Still tasty though. I hardly ever make a proper loaf. I’ve been thinking about sourdough for a while. It’s the bread of geeks, as you’ll see if you google it, made without any added yeast but a starter made from flour and water which is left to brew its natural yeasts. And then I was reading the side of my flour bag (I suffer from acute narrative hunger and need to read everything – one reason why the internet is so bad for me) and there it was – a sourdough starter recipe. So I consulted Annalise Barbieri’s lovely blog because I knew she made sourdough and also some recipes I found online. And then I gave it a go. The flour and water concoction magically became my starter over the course of a week and a very sticky dough became my first loaf. Although it spread out rather alarmingly, it came out of the oven with a lovely crust and proper airy texture. The second loaf was less airy but less spread too. I’m finding it a fun way to make bread, especially since the recipe I’m using doesn’t involve much kneading, just a brief punch a few times over the course of a morning. It also keeps really well, although there’s not much been kept. Sourdough has a low GI and is easier to digest than bread made with added yeast. And a loaf cost less than 50p to make. Brilliant. A couple of days after starting my starter, I discovered that it’s Sourdough September. So I seem to have timed it quite well. Anyway, I’ve just pulled a new loaf out of the oven and I’m going to call a friend now and invite her over for coffee and a slice of bread. Here’s my take on Anzac biscuits – a fast and fabulous recipe which produces a great mound of tasty coconut and oat treats. I can produce about 40 in a single batch and they are extremely popular with all ages. They are also egg-free, so good for vegans or Asian vegetarians. Mix the dry ingredients in a large bowl. Meanwhile, melt the marg and golden syrup in a jug in the microwave, or a pan on the stove if you prefer. Add the bicarb to the hot water in a small cup or dish and then stir the fizzy mix into the warm marg/syrup combo. Then add the warm wet ingredients to the dry ones and stir in carefully. For smallish Hobnob size biscuits use teaspoons of mixture – I can fit 16 on a standard baking sheet (covered with silicone lining), leaving room for spreading. Bake at about 180ºC (Gas Mark 4) for 8-12 minutes until the biscuits are golden all over and most have flattened out after rising. Transfer to a rack for cooling after they’ve had a few minutes to firm up. The gallery below shows some slightly larger ones made using dessertspoonfuls of the mixture which gives you about 24 biscuits from a single batch. Last week I had to bake for Cake & Chat and wanted something a little different. I also had a packet of rhubarb that I’d picked up on the reduced section at our local Morrison’s. 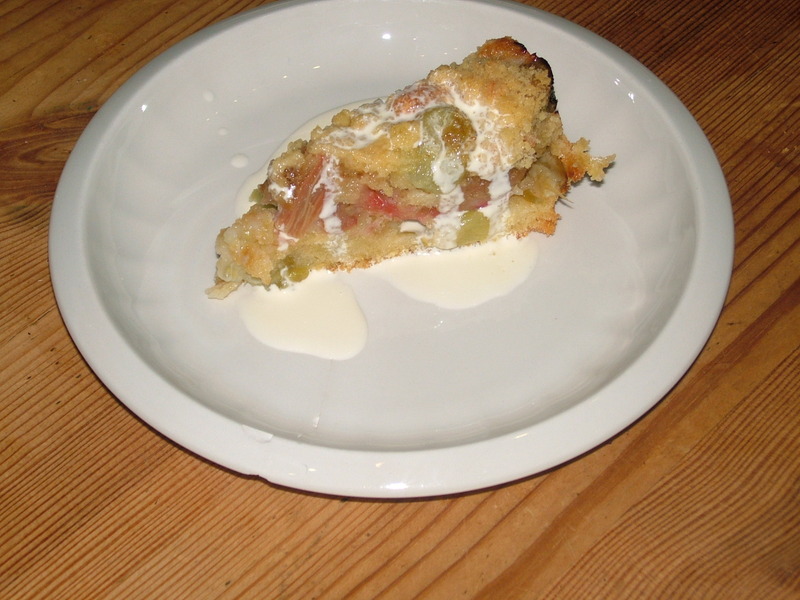 And so here is a recipe for rhubarb pudding cake (I found the original online at a National Trust historic cakes site). It went wonderfully with creme fraiche on Thursday and with cream on Sunday. I had to bake a second one this weekend as the first one had disappeared before lunch on Thursday. The leftovers are in the fridge tempting me now. The recipe involves three separate sections – a cake batter, chopped and sugared rhubarb and a crumble topping. Althought it’s slightly faffier than a bog standard sponge, it’s worth the extra trouble for a delicious dessert cake. 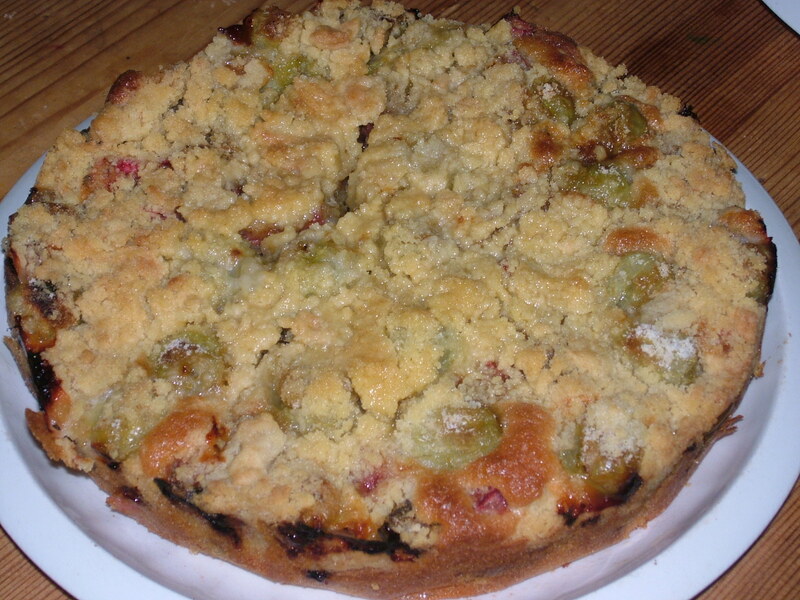 The one in the pictures has some gooseberries in it aswell as I didn’t have quite enough rhubarb second time round – they worked very well. Firstly, prepare the rhubarb, chopping it into chunks, or top and tail your gooseberries. Place it in a bowl and sprinkle the brown sugar over the fruit and set aside. 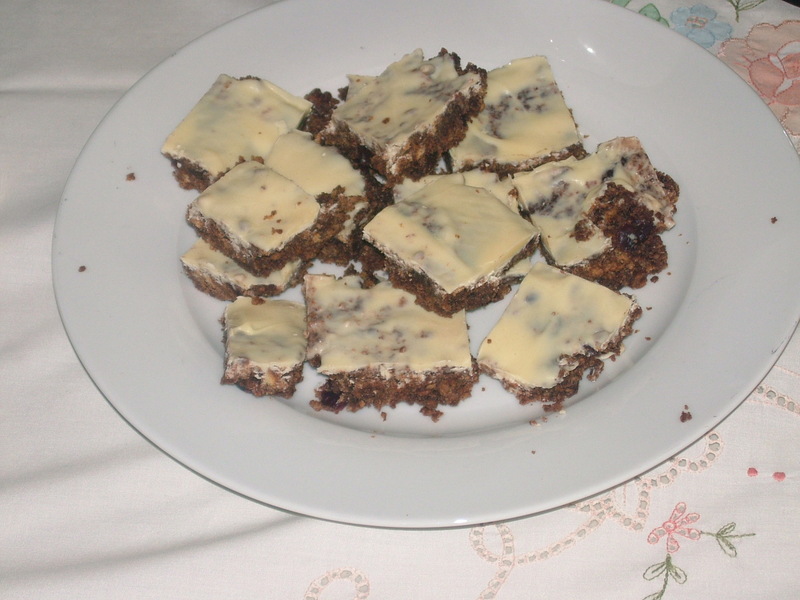 Then make the crumble topping, chopping the butter into the flour and rubbing it into small crumbs with your fingers. Then stir in the sugar and set aside. Finally, in another bowl, cream together the butter and the sugar, beat in the eggs and fold in the flour. I do this using an electric hand mixer – there’s not enough mix for my freestanding mixer. Add enough milk to give a dropping consistency – if you’re using large eggs you might not even need the milk. You’ll need an 8″ cake tin, lined with baking paper (or a reusable liner). Then you layer the cake up – first the batter, then the fruit (with another sprinkling of brown sugar) and finally the crumble topping mix. Bake at 190ºC (Gas 5, Fan 180ºC) for 40-45 minutes until the cake feels firm on top. This cake is delicious hot or cold and best served with some sort of cream. It would be good with custard too. The Vicar and I were married at St Andrew the Great in Cambridge. I’d been a member of the church for about eight years when we wed. The year before that the congregation had moved from the Round Church, a beautiful Norman building which had become far too small for the church to meet in. The move cost the church (as I recall) £1.8 million, as the new (to us) building needed extensive refurbishment, having been redundant for 25 years. The congregation gave generously, but there were a few more traditional fundraising efforts. One of these was a Round Church cookbook. 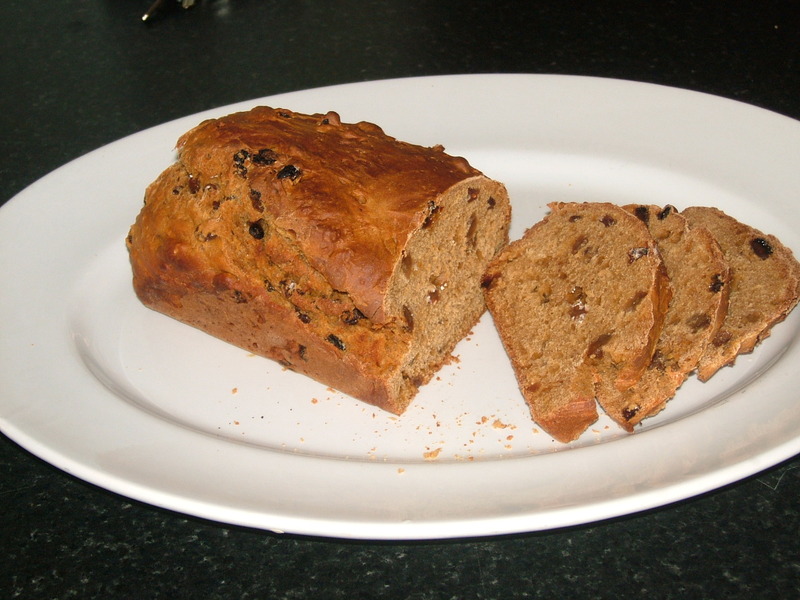 A recipe from the cookbook that I still use regularly is Rosemary Sennit’s malt loaf. It’s great for batch baking – I normally make three loaves at once and quick to put together. It’s egg free and therefore suitable for Asian Vegetarians & Vegans. It’s low fat aswell and I now prefer it to the Soreen option – it’s less strong and squidgy, but still delicious with butter. All brilliant reasons to use this simple and tasty recipe. Put the flour and salt in a bowl, adding the sugar and dried fruit and mixing together. Put the malt, treacle and milk into microwave jug. I heat it for 1-2 minutes on maximum heat and then mix it together. You can also do this in a pan over a low heat on the stove. Then pour the liquid into the dry ingredients & mix thoroughly. Pour everything into a well buttered 3lb loaf tin, or one lined with a reusable liner. Or if you double the batch you can make three smaller loaves in 2lb tins – this is what I normally do. Don’t use a paper liner as these will stick (I speak from traumatic experience). Bake at 180ºC (Gas 4, Fan 170ºC) for 40-45mins or so until firm to touch, and a skewer comes out clean. I’ve found that the cooking time is about the same for both sizes of loaf. The original recipe said to cook a single quantity in a 2lb loaf tin in 75mins, so if you only have that tin size your deeper loaf will take longer – you might want to cover up towards the end of cooking to prevent the dried fruit from burning, though. Turn out and cool on a rack, or you can leave to cool in the tin. Slice and eat with butter (or low fat marg for the health conscious). This is a brilliantly quick and easy cookie recipe given to me by Mrs Rev Ted, whose husband was the Vicar’s boss when he did his curacy. 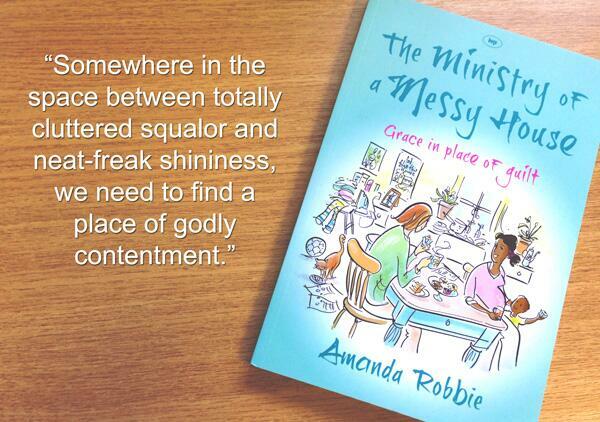 So she was my training incumbent, and this recipe was an essential part of my vicar’s wife training. It’s speedy, just like Failsafe Flapjack and is also flexible so you can fill them with whatever you have to hand – chocolate chips, raisins, cranberries etc. Cream the butter and sugars, then beat in the vanilla extract and egg. Finally add the flour (or flour, cocoa powder and baking powder for chocolate cookies) and your chocolate chips or raisins. To bake them I line 3 baking trays with reusable silicone liners (you can use baking paper or grease your trays well) and use two teaspoons to make walnut-sized blobs of mixture. I can make about 40 standard biscuit-sized cookies from a single batch of this mixture. Bake them for 12-15 minutes at 180ºC (Gas 4, Fan 170ºC), until they have turned golden (you can only see this when they don’t have cocoa in them!) and have risen. They will flatten out again and harden a little whilst cooling – wait a few moments before transferring to cooling racks with a palette knife. 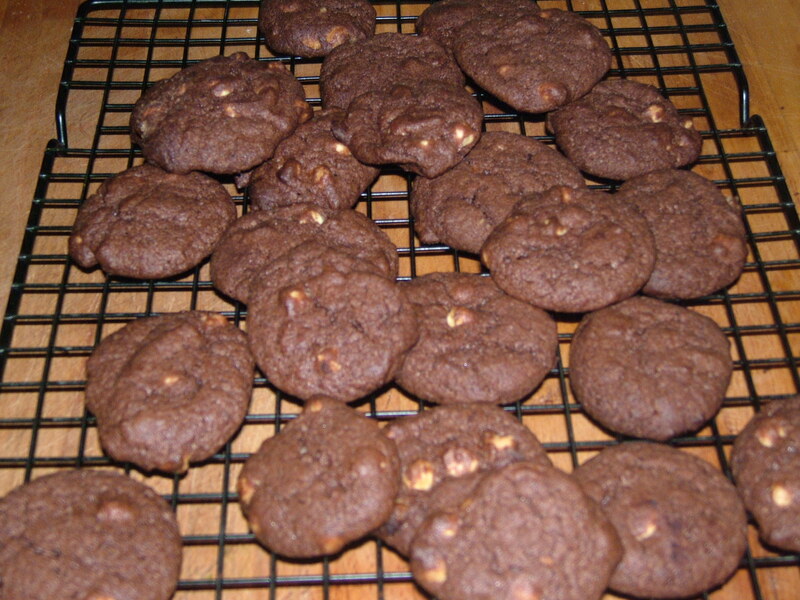 If you slightly undercook them you can get a chewy cookie texture, or leave a little longer for a crunchier bite. Options I have tried successfully for these cookies include double choc chip (cocoa in the mix with white choc chips) and cranberry and choc chip with a plain mix.